Young executives get their management training on the job. Four tips for learning how to manage others. Learning to manage people is one of the most challenging parts of leading an organization. As a young manager and Millennial, everything I’ve learned has been on-the-job training. It took a lot of effort, trial and error, and failure to learn how to build and manage a team. There were times I struggled as a young manager leading a young team because I had to work extremely hard for others to take me seriously, and at times, make decisions that didn’t make me the most popular person. While there are many variables at play, I wanted to share four tips that could prove useful on this topic. A team needs honesty from its leader in order to be committed and engaged. Leaders should not just say what the team wants to hear. Being honest includes transparency when you don’t have the answer. There were a few instances where I found myself not wanting to say that I didn’t know something because I thought it would hurt my authority as a leader. Another important element is to be upfront and don’t hide things because your credibility can be tarnished. If you have confidential information, be sure to communicate that you’re not able to share with the group, but once you can, you will immediately provide updates. If you stay consistent with honest communication, your team will appreciate it and provide you with mutual transparency. Trust is one of the most powerful forms of motivation and inspiration. As a leader, it’s important to trust your team to make decisions appropriate for their level. While things may not always turn out perfectly, it gives the team opportunity to learn and grow. Being able to provide this perspective helps to motivate team members to take advantage of these openings no matter how big or small. Additionally, your team might not automatically trust you as a leader because of your experience or results. You have to earn that trust through your daily actions especially as a young leader. You can start the process with this motto: do what you say and say what you mean. If you want to hold regular meetings, be sure you set them on the calendar and stick to them. Be consistent, intentional, and persistent with everything you do. For leaders, having emotional intelligence and showing mutual respect is essential for connecting with your team members and helping them to be the best performing they can be. One important aspect of honing this characteristic is having self-awareness. People want to be communicated with as people, not as subordinates. Having the self-awareness to evaluate your communication style could strengthen the relationship between you and your team. Another crucial piece is to practice being a good listener. A team member could be having a bad day, and a highly emotionally connected leader would pick up on this by the tone of a quick morning chat or a word choice used. It is important to pick up on these cues and prioritize constructive criticism so that it is more readily received. It is crucial for everyone to feel recognized for their work, but especially important to Millennial employees. You can never recognize your team enough. Feeling appreciated is one reason that employees want to stay at a company. If they believe they are doing a good job and impacting the team, they are likely to be more engaged in what the company is trying to accomplish. It is important to balance both team recognition as well as individual recognition when one particular employee shows stellar results. Be sure to recognize team members publicly when the forum allows, like at an annual company meeting or in a newsletter. While I’ve learned there is no perfect roadmap for building a successful team, I feel confident these building blocks can put you and your team on the path to success. 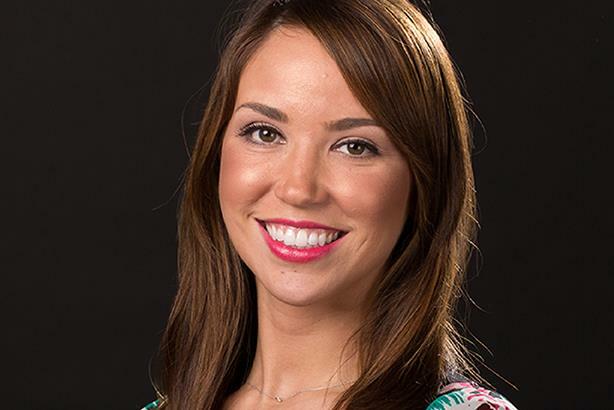 Adrienne Cadena is VP at Havas Street.